Woodstock, Burning Man, mud, sand, pain, pleasure, an Ibex and an Owl had a baby and we named it Zumbro. Baby Zumbro grew and grew and is now a giant looming on the Northern ultra trail calendar. Zumbro is the convergence of all our pleasures and passions some family friendly and some rising up from the deepest and darkest corners of our being just as the unaltered sandstone bluffs of Zumbro rose up from an ancient seabed millions of years ago where these mystical races are now contested. When the previous Minnesota trail and ultra season ends many a runner’s imaginations turn straight-away to Spring and to Zumbro – they may not all necessarily want it to but such is the insidious nature of compulsion or perhaps more accurately described, the constant inward pull and resulting outward expression our most natural, organic and ancestral selves. If our blood-born adventuring spirit is the spark then Zumbro is the flame that we all kindle through the harsh Minnesota Winter; runners splitting wood, adding fuel to the fire and fanning the flames until the days finally grow longer, the snow melts and the waters recede leaving in its wake the sand, mud and rubble of this perfect pagan arena nestled in the primeval “Driftless” of what we today call ZUMBRO – are you not entertained?! On the competitive front we cannot help but wonder if the men’s race could be a battle of the “old guys” as Jeff Miller and Doug Kleemeier ​are both in the race but there are certainly some good “young guys” as well including last years second place finisher Rob Henderson and last years fourth place finisher Nate Ziemski – read down the list and you are wading in deep waters for some time and really it is anyone’s guess for a race that once came down to two single seconds between first and second place. On the women’s side Tina Johnson is a veteran ultrarunner that runs consistently well and is rarely out of the money placing high at most of her races, last time she ran Zumbro (2013) she was expectedly 2nd. Lindsay Henkels won the 50 last year and her name is on the list to run her first 100 at Zumbro but rumors abound as to whether or not she will be there on race day. Susan Donnelly is coming back for her 9th Zumbro 100 and is currently the only person to have finished every Zumbro 100 held. Who else but Daryl Saari and John Taylor come with the second and third most finishes respectively. Of significant note, both Susan and John are closing in on their 100th 100 mile finishes and hope to get one closer at this years Zumbro – could both of their 100th 100’s align with this years Superior 100 (the 10th oldest 100 in the country) oh for love of symmetry. Also of note, Kevin Langton and Nate Ziemski are both going for their 4th Zumbro 100 finish. Currently Al Holtz and Steve Sjolund are tied for the oldest to complete the Zumbro 100 (65), this year Al is registered in the 100 while Steve has opted for the 50 – will Al take the lead at 67 years old or will first time Zumbro 100 runner Hoskuldur Kristvinsson from Iceland get it, he is also 67. Since 2009 the Zumbro 100 has been the first race in the Upper Midwest Trail Runners Gnarly Bandit Ultra Series and will be again this year. The 50 mile race should be interesting as we have some impressive names dotting the list including Superior Hiking Trail FKT holder Mike Ward who was second at Z50 last year and others that are rarely out of the top 10 or even top 5 including Ryan Braun, Jeff Vander Kooi and others – we will let you spend some time at work this week interpolating the UltraSignup rankings on this one. 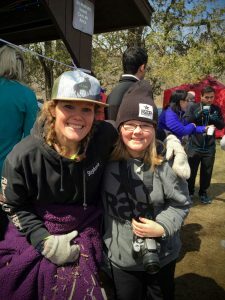 On the women’s side in 2015 she was fourth, in 2016 she was third could 2017 be a jump all the way to first for 59 year old Grand Master’s runner and one of the most decorated trail runners in our area Shelly Groenke – pouring over the the list of other runners seems to indicate that it is possible, not easy, but possible. We rarely take sides but on this one we just might… Shelly, let our strength be your strength on April 7th. And who would have thunk, the Zumbro 17 mile, the baby of the Zumbro race family added several years after the inception of the 100 mile race to bring numbers up just a bit would sell out 500 spots nearly five weeks in advance and host the most competitive field at this years event in what could shape up to be one of the more competitive trail races in the state this year. Maybe there is no more of a fitting test of trail running prowess as one single loop run fast of this rugged course to vet out early in the season who the best of the best are – this is not easy trail running and tests all of the skills in each runners arscenal. We have more questions than we have answers for this one but here goes… Can Superior 100 Mile course record holder Jake Hegge dominate this shorter race? (Jake has run the 2nd fastest time in the Zumbro 100 and the 6th & 7th fastest times in the Zumbro 50). Will former pro runner, two time Zumbro 50 mile winner and current 50 mile course record holder Kurt Keiser clean up? Will Kelly Boler (Brinkman) who just a few short years ago ran one of the fastest half-marathon times in the country (1:11:32) beat all the boys? OR will last years winner, current Zumbro 17 mile course holder and elite obstacle course racer Mike Ferguson make everyone pay with his freakish ability to fly up the crazy steep hills of Zumbro? 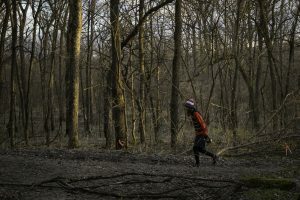 While none of the other women have the pro-level credentials of Kelly Boler this is trail racing after all and at any moment you might hear sand-muffled footsteps creeping up behind you including any of the talented women 1st, 2nd or 3rd from last years race – Stephanie Sathre, Michele Asmus and Molly Pennings respectively. Of the 500 runners registered for the 17 only eight have run the race each year it has been contested – these individuals will all be going for their 5th Zumbro 17 mile finish; Rose Biancini, Kelly Classic, John Eiden, Randy Kottke, Travis Mccathie, Lonna Simanovski, Steve Smillie & Dan Valentine. Finally, let us show nobody preferential treatment but let us always hold high those that are the best and brightest shinning examples of exemplary selflessness within our community…. our good friend, oft racer, oft volunteer, oft at the race directors house scrubbing pots and pans and cleaning bins after race weekend Stephanie Hoff will be running the 17 mile race this year with her wonderful daughter and also oft RSR volunteer Ava. At the young age of 10 years old Ava spent the Winter training as long and as diligently as many of our top performers – spending the Winter on the trails with Mom, Mom’s friends and in the nurturing care of her trail running community Ava will participate in a race that is already near and dear to her heart. As Zumbro draws near, drawn near to yourself your hopes, dreams, motivations and strength as fuel for a good run. More importantly put yourself second, others first, introduce yourself to a few new people and help advance our culture and our sense of community at another celebration of all that we are and all that we share – ZUMBRO.